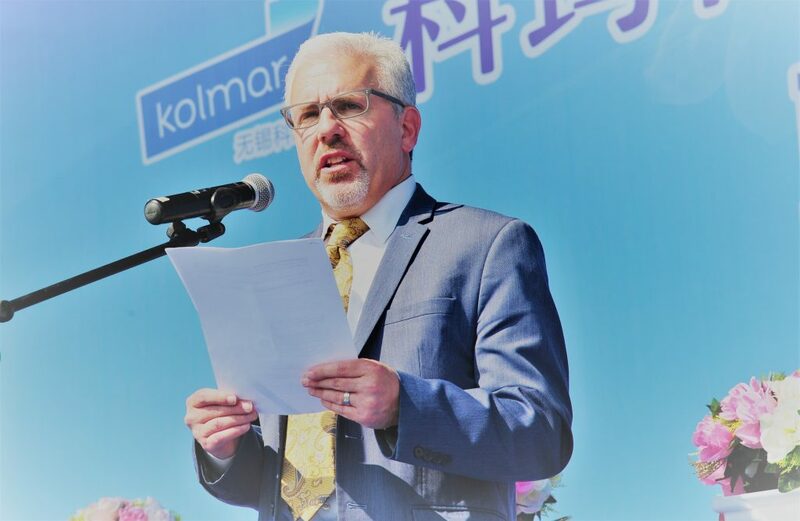 October 2018—Steve Levine, President & CEO of PTP, traveled to China to speak at the opening ceremonies of Kolmar Wuxi – Kolmar Korea’s second overseas entity in China. This new, state-of-the-art facility is set to be the largest cosmetics production factory in China. Kolmar Korea is South Korea’s leading cosmetics original design manufacturing (ODM) company. As one of its global affiliates, PTP congratulates Kolmar Korea’s growing presence and expanding distribution channels. The Chinese cosmetics market is growing fast and Kolmar Korea is dedicated to bringing advanced technology to the Chinese marketplace.